Nicolas Bour, executive chef at San Diego’s award-winning Humphrey’s restaurant on Shelter Island, never set foot in culinary school. He acquired his celebrated skills working alongside some of the most gifted gourmets in the world. But it’s his talented mother he credits as the first influence in his practical training, remembering an early incident that branded him a foodie for life. This school-of-hard-knocks training continued each summer with the influence of his French grandparents who scolded him for dunking French fries in ketchup rather than mustard. After high school he really gained focus, stamina and discipline when he joined the Marines. Following his discharge, he tried college, but the chef bug bit hard while working a part-time restaurant job. 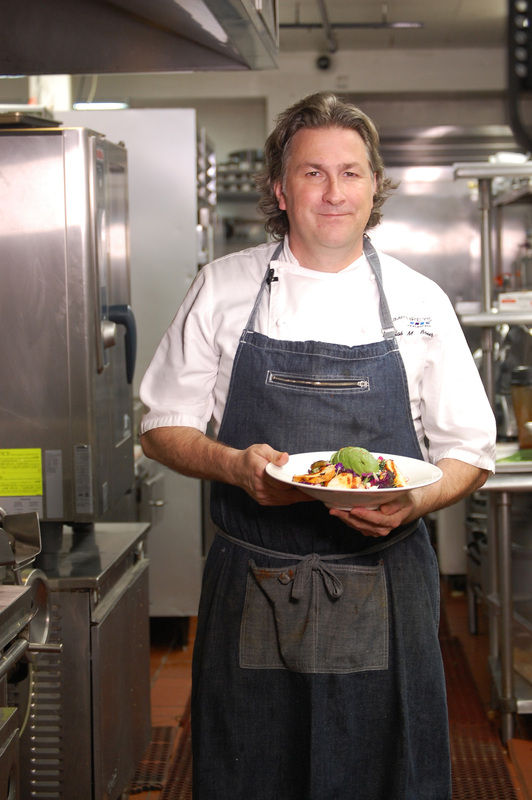 After two years with Terry, he took off to work for the avant-garde and Michelin-starred Gunter Seeger in The Ritz-Carlton Buckhead’s Dining Room. Bour only stayed at the Atlanta hotspot for a year but says that every moment was like a master class that still informs his technique today. The two shared a respect for farm-to-table cuisine, harking back to Seeger’s family vegetable stand in Germany and Bour’s early upbringing on an organic farm in New Brunswick, Canada. When Bour parted ways with Seeger to work for the acclaimed Jean Banchet, Seeger told Bour he’d never make it. “But I was determined to make him eat his words,” laughed Bour, who reunited with his mentor when the Shaman-like chef visited Iris, the bistro Bour opened almost a decade later in Atlanta. “We got awesome reviews and Gunter was surprised to find me there as the co-owner,” says Bour. After opening Iris, Bour later signed on to open The Farmhouse. It was a perfect fit for his veggie-centric aesthetic within Serenbe, an urban village south of Atlanta and known for its farm-to-table restaurants, shopping and greenspace. He later went on to become Chef De Cuisine at The Willard Hotel, just two blocks from The White House, where he had the privilege of cooking for heads of state, political power-brokers and other celebrities. He planned President Obama’s inauguration dinner and spent four days making Italian comfort food for Robert de Niro, but says his most memorable gig was cooking for Saudi Arabia’s Prince Abdullah under the watchful eye of security detail. But D.C. was just another stop along the way. With the thought that every chef worth his salt eventually does time in New York City, Bour would leave to check that box, too. He married his long-time sweetheart, then a jewelry designer and valuations manager for Tiffany & Co., and moved to The Plaza Hotel where he planned the storied afternoon tea program made famous in the Eloise series of children’s books. When San Diego called, Bour was ready to say au revoir to NYC’s icy winters. He relocated his family to the West Coast, opening Avant Restaurant at the Rancho Bernardo Inn and serving as Executive Chef for Loews Coronado Bay Resort. Both were plum positions, but then the chance of a lifetime came for him: the offer to captain the culinary ship at Humphrey’s Restaurant. He jumped. 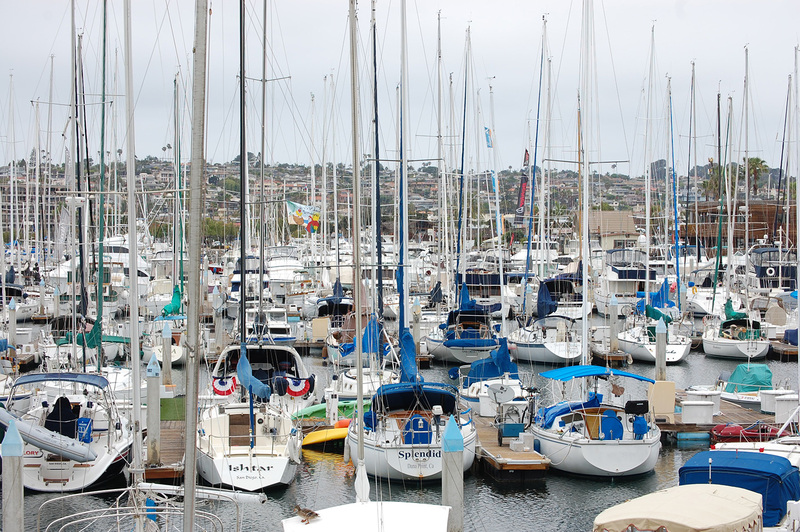 Humphrey’s is adjacent to the Half Moon Inn Marina on Shelter Island in exclusive Point Loma. Bour’s office overlooks the 1,500-seat Humphrey’s by the Bay music venue, where guests dock their boats to hear some of the top acts in the world. Bour oversees fine dining in the restaurant, including meals for concert-goers and customized menus for the performers. “At Humphrey’s I do very modern presentations,“ he says. “I love art, so I strive to make the plate beautiful. The key is to always stay true to the ingredients so you elevate instead of exploiting them.” One ingredient he’s using a lot these days is acerola, a Brazilian berry he calls the “superfood of the future.” Bour says it’s massively high in Vitamin C and versatile because of its moderate sweetness. Although he’s cooked at the James Beard House, at President George W. Bush’s Crawford Ranch retreat and has a television pilot in the works, Bour hasn’t strayed too far from his roots. 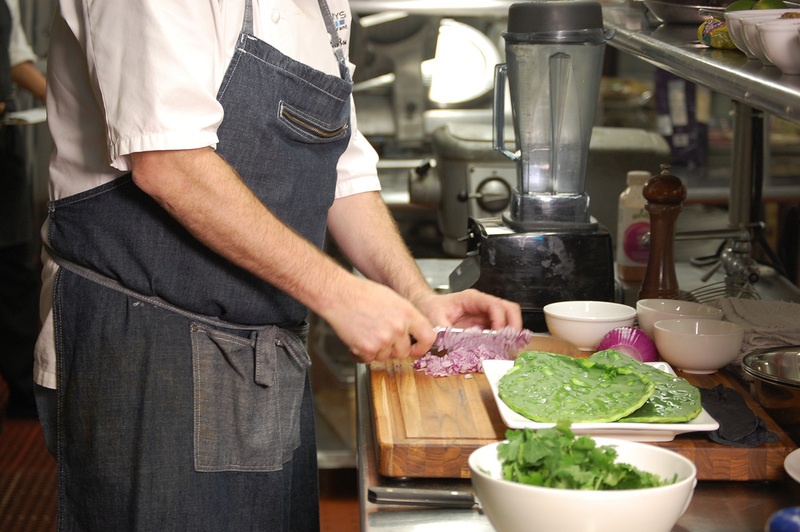 He still insists on the freshest ingredients and believes in giving young hopefuls a fresh start. Who knows? One of those veterans may be the next great American chef, eventually turning in his or her dress blues for his chef whites, thanks to Bour’s belief that the school of hard knocks just might be the best teacher. While Chick-fil-A does not have a formal partnership with Chef Nicolas Bour, we tip our hats to him and his culinary mastery. For more on visiting Humphreys by the Bay click here.